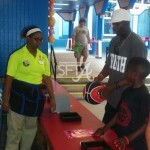 Former Atlanta Falcons and Atlanta Braves player, Deion Sanders, took time to enjoy the thrills at the Southeast’s largest theme park, Six Flags Over Georgia, on Monday, August 2. 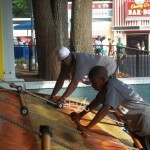 Through his Prime Time Association, a nonprofit organization aimed at reaching youth through sports and education, over 100 football program participants arrived at the park for a fun-filled day experiencing an array of rides and attractions. Sanders was spotted enjoying the park’s one of a kind rides including Monster Mansion and the Hanson Cars, played a few games with his family and even squeezed in enough time to enjoy a classic funnel cake! 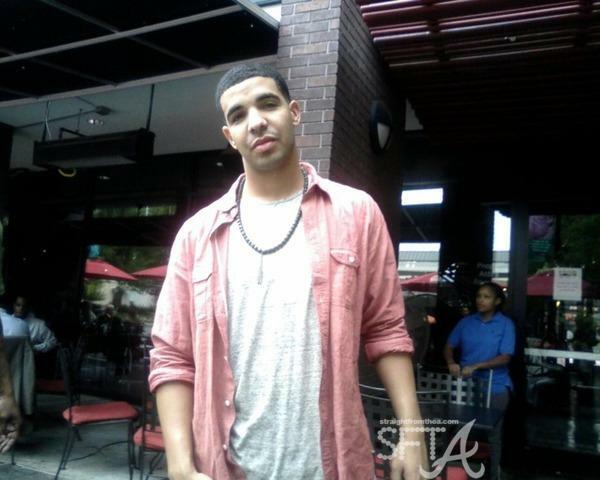 Drizzy Drake was spotted chillin in Atlanta on the deck of a restaurant in Atlantic Station yesterday. It was another beautiful day in the “A” and seeing him was quite a pleasant surprise, especially since someone (and I ain’t saying no names) has “Successful” on repeat three-peat every single time we’re in the car. Yuuup! Anywoo…y’all know I’m collecting “A” pics for my gallery, but when asked to throw the “A” for my photo op, Drake promptly refused stating….“that’s some ole Usher sh*t!” I couldn’t help but laugh! Like for real. I was about as tickled pink as that wrinkled shirt he was rockin! But he’s right…. peep my header.